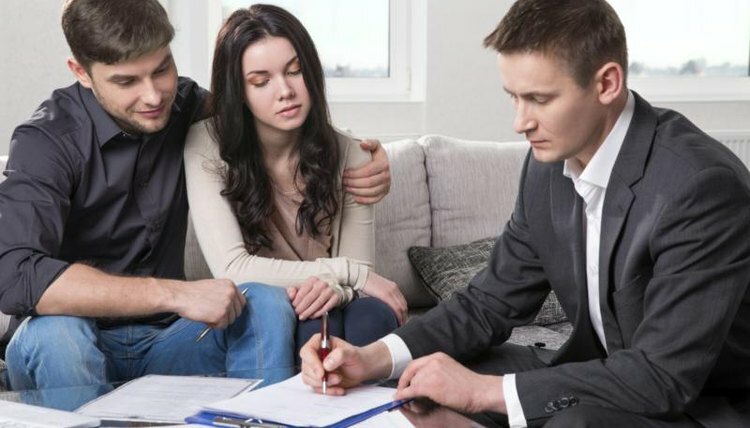 Your ability to discharge a home equity loan in bankruptcy depends on two critical factors: which chapter of bankruptcy you file and the home’s fair market value. If you file for Chapter 7 protection, your chances are nil if you want to keep the property. But if you file for Chapter 13, this form of bankruptcy can make the loan go away, depending on the value of your home. In a Chapter 7 bankruptcy proceeding, the trustee takes control of your property and sells anything of value that you can’t protect by applying exemptions. Exemptions are values in certain property that the bankruptcy code allows you to exclude from the bankruptcy. The trustee uses the nonexempt assets to pay down your unsecured debts such as credit cards. If any unpaid balances remain, they’re discharged. But a home equity loan is secured by your property so it can only be discharged if you surrender your home. If you want to keep the property, you must be current with both your first mortgage loan and your home equity loan and continue making those payments going forward. When you file for Chapter 13 protection, you agree to the terms of a plan that will pay off your debts over three to five years. You fund the plan with your disposable income -- what’s left over after you pay your necessary living expenses. You must make full payments and keep current with secured debts such as your home equity loan during the term of the Chapter 13 repayment plan. Unsecured debts might receive pennies on the dollar or nothing at all, depending on how much disposable income you have. This distinction between secured and unsecured debts is critical because if your home’s fair market value is equal to or less than your first mortgage, your home equity loan becomes unsecured because there is not sufficient equity in the house to secure the loan. In such a case, your home can be “stripped off,” which effectively means discharged, without you having to pay off the entire loan. A home equity loan can only be stripped off if it’s entirely unsecured. If your home’s value is sufficient to cover the first mortgage and at least some of the home equity loan, the loan remains secured. You must continue to pay it, just like your first mortgage. The court looks at it this way: if your first lender forecloses and forced the sale of the house for fair market value, the lender of your home equity loan would receive at least some of what you owe if it’s worth more than the first mortgage balance. It wouldn’t be fair to strip off the lien and deprive the lender of payment because you chose to file for Chapter 13 instead. Lien stripping is reserved for real estate you actually live in -- it must be your home, not an investment property. At the end of your Chapter 13 repayment plan, the home equity loan lender must remove its lien from your property, even if it didn’t receive the full amount of what you owed. Lien stripping generally isn’t possible in a Chapter 7 bankruptcy, but some bankruptcy districts -- those in Alabama, Florida and Georgia -- recognize it as an option under certain circumstances. As with Chapter 13 proceedings, the loan must be unsecured because the fair market value of your home doesn’t stretch to cover it. As unsecured debts, some courts have ruled that they can be discharged. These court decisions are unofficial -- they’re not covered by the bankruptcy code but are simply the way some judges in some jurisdictions have decided cases. Your ability to discharge the loan might come down to which court is hearing your case, so if you live in one of these jurisdictions, speak with a lawyer. AllLaw: What Happens With a HELOC in Bankruptcy? Nolo: Can I Get Rid of Second Mortgages and Liens in Chapter 7 Bankruptcy? The Aylward Law Firm: Can You Eliminate Home Equity Loans Through Bankruptcy? Bird, Beverly. "How to Discharge a Home Equity Loan in a Bankruptcy." , https://legalbeagle.com/5399672-discharge-home-equity-loan-bankruptcy.html. Accessed 19 April 2019.